Do you supply motorcycles? If not, where can I get one from? 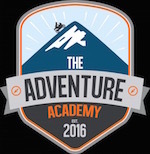 The Adventure Academy does not have our own fleet, however we partner with specialists in this area that will gladly provide you with a suitable steed for your journey. Luggage and Navigation equipment is available upon request. If I require adjustments to the motorcycle, can you provide these? Within reason, your motorcycle will be spec’d to your individual requirements. Contact Andy for advice or his input. You certainly can bring your pride and joy along on the trip and this is preferable as you are in tune with its habits. You will be assessed by the back-up vehicle or staff rider and if it is possible to get you back on the road within 20 min we will assist you and get you rolling again. However if your issue requires more time or attention, your motorcycle will be loaded onto the trailer and brought to the overnight venue for evaluation. 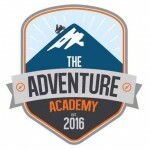 Should the damage be terminal, The Adventure Academy will get you to the closest large town en route where you can make arrangements to have your motorcycle collected and transported home.